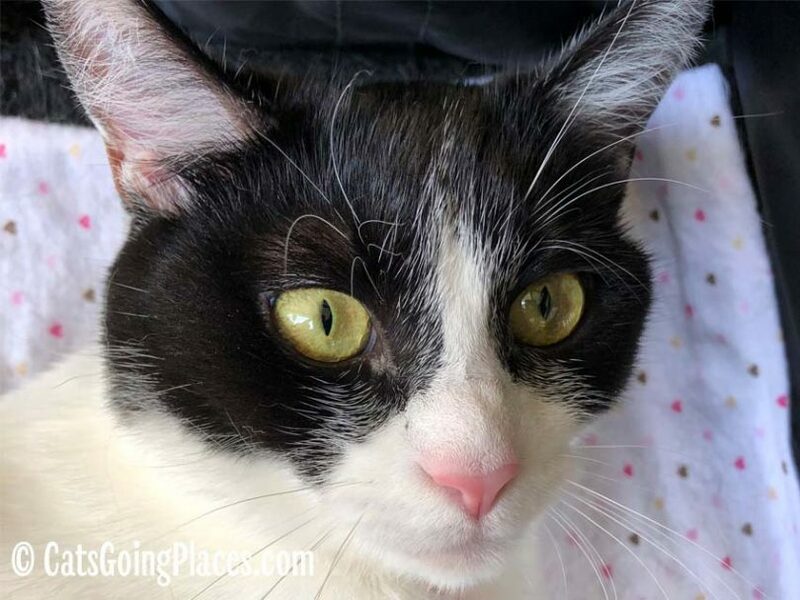 What’s Lining Your Cat Carrier? I don’t know a single person who uses the cat carrier without putting something in the bottom, under where their cat will sit. 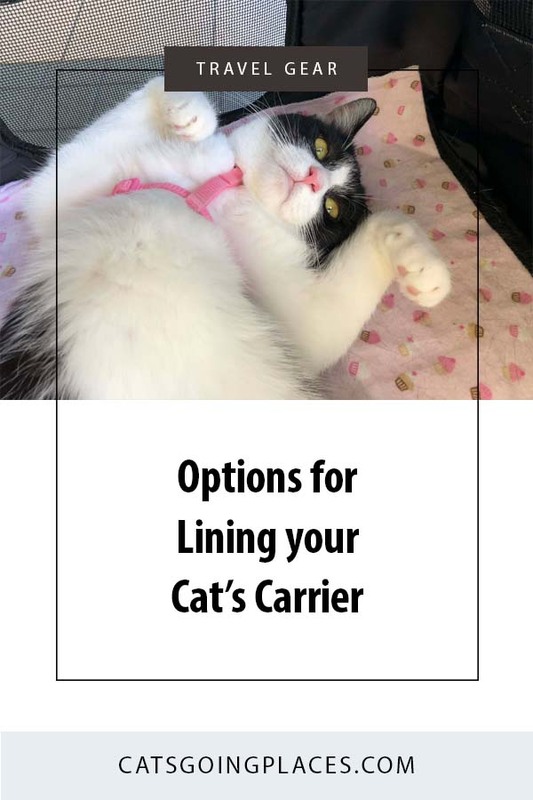 The option you choose depends a lot on how often you are using the carrier and how long your cat will be in it. The most common thing people think of putting in their cat carrier is a towel. 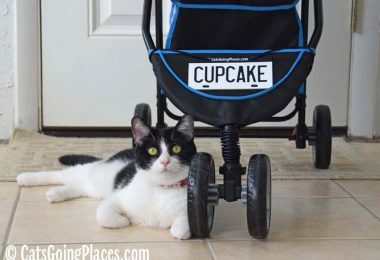 This is easy to do because everyone has towels in their house they can use, so you don’t have to go out of your way to get something special for the cat carrier. They are easy to wash and reuse, and they don’t take any special care. 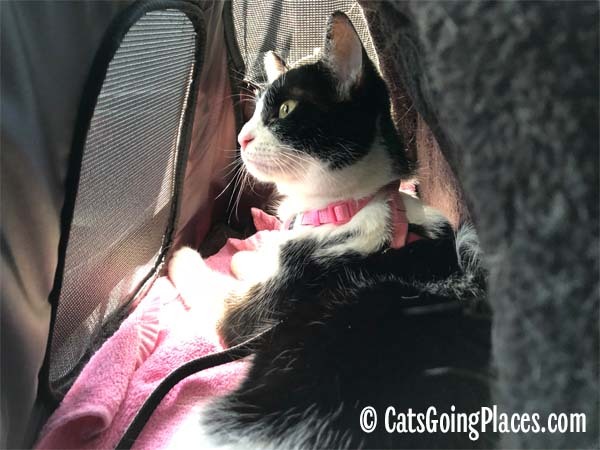 I had used towels in my cat carriers for vet trips for years, so when I started taking Cupcake out, I started out using towels in her carrier, too. I stumbled across some pink hand towels on clearance and bought those for her I wasn’t constantly borrowing towels from my own towel rack. After a while, I found that cat claws started to snag the little loops on the terrycloth of the towel, and the towels got stringy. I ended up cutting off a lot of loose threads, worried that Cupcake would chew them off while she was in the carrier. So I realized that towels for frequent use in a carrier might not be the best option. In my search for something to replace the stringy towels, I started looking at other fabrics. An ideal fabric would be one I could put over my lap when I wanted to hold Cupcake there in the summer when I wanted something over my bare legs, and a friend suggested the summer-weight flannels used in baby blankets. Searching flannel baby blankets turned out to be more fun than I expected because they make all kinds of fun prints for babies. I ended up purchasing a package of six flannel blankets with cupcakes and coordinated patterns for $12 from a baby store. I really like the flannel blankets because they flatten out to a nice size, but when you fold them down to the size of the bottom of the carrier, they don’t get too thick because the fabric itself is thin. I also like the cupcake-themed fabrics. The only drawback I’ve found to flannel is it isn’t thick and absorbent like a towel, so when Cupcake gets into something like damp grass and has wet paws, it isn’t as good at drying them back off and keeping the carrier itself from getting damp.  One way to protect your cat carrier from moisture is to use a puppy training pad or an incontinence pad. Puppy pads have some kind of an absorbent material on one side and thin plastic backing. As long as the pad stays upright so the plastic side is down, no moisture that gets onto the puppy pad can get into the carrier. The downside of puppy pads for your cat is that they aren’t breatheable. Since air won’t circulate through them, it’s hotter for your cat to sit on them than it would be to sit on a towel or flannel blanket. I know this because I used one in my car seat when I had to drive wearing a wet bathing suit. The car seat stayed dry, but I was uncomfortably warm. 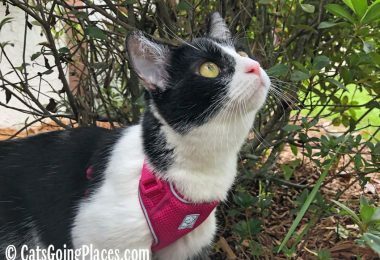 This shouldn’t discourage you from trying using puppy pads in your cat carrier, but be sure you are extra vigilant about your cat’s ability to get out of the direct sun in the carrier, since it will be harder for her to cool down. You can buy puppy pads at any pet store, and you can find them in the pet section of your grocery store. If you want them to magically show up at your door, you can also order them from Amazon (affiliate link). 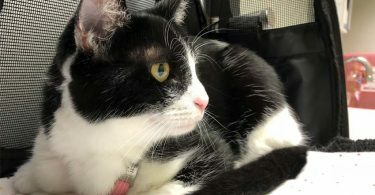 For especially long trips in a carrier when your cat won’t be able to get to a litter box, you may feel like the chances of your cat holding it for long enough to make it through the trip aren’t very good. 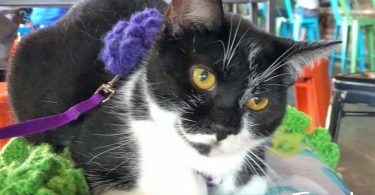 A puppy pad would leave your cat sitting on a surface dampened by own urine, so what other options are out there? It turns out someone developed a pad especially for lining traveling carriers and crates for just this situation. 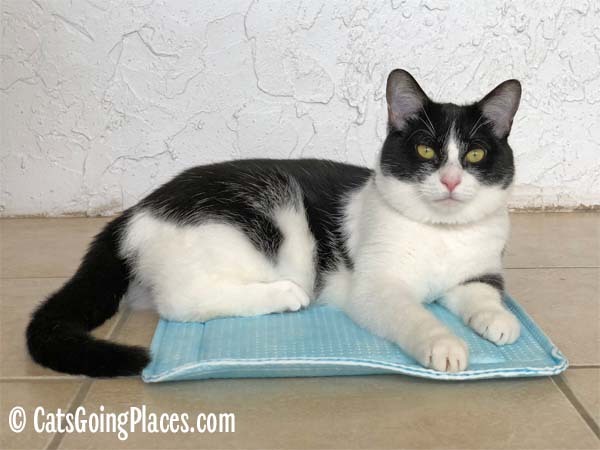 The Dry Fur pads are multi-layered material that is intended to move moisture away from the top layer where the cat is sitting on it and hold it inside. I bought a set of two for Cupcake’s flight to Kansas City earlier this year to try them out. Cupcake lays on Dry Fur pad. You can see at its edges how it is made of multiple layers. I really liked that the Dry Fur pads have something inside them that make them a little stiff. You can bend them, but they don’t wad up when a cat shifts around during a flight, ensuring the carrier floor stays covered. They are also plush and thick, so they provide extra cushioning inside the bottom of the carrier. The only drawback I saw with them is if you have a cat who likes to dig with his claws, they can take big gouges out of the pad. That probably isn’t good for it. Just before we left for Kansas City, Newton jumped into Cupcake’s carrier and tore two paw-sized pieces of bedding out of hers before I could get him out of there. I haven’t seen these sold in stores locally, but they are available on Amazon (affiliate link). 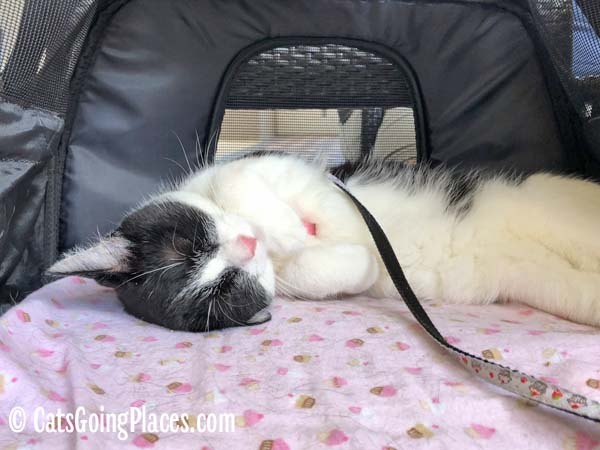 No matter how you line the bottom of your carrier, keep your cat’s comfort in mind and you’ll both have happier travels. Those pads are interesting. I just got Chanel a new fleece from the rescue’s retail store. I didn’t even know these dry fur pads existed! My human wants to order them, like, right now because we’ve been relying on puppy pads. 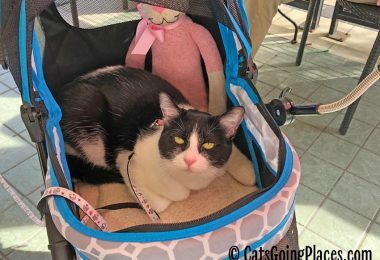 Even though the only time I messed up my carrier was on a trip to the vet when I was actually sick, my human always wants to be safer than sorrier, so she always wants to line my carrier. Brilliant, too bad they didn’t come with cupcakes..